Tired of those exhausting, pointless networking events? Networking might be enjoyable for extroverts, but what about those of us who aren’t quite as outgoing, and struggle with finding something to say to strangers? What if there were a way to connect with the exact right people, cultivate mutually beneficial relationships, and form partnerships that benefit your business, all by avoiding traditional networking events? In the last episode, Jay shared his terrifying experience being asked to speak in front of 20,000 people, and how he overcame his fears. 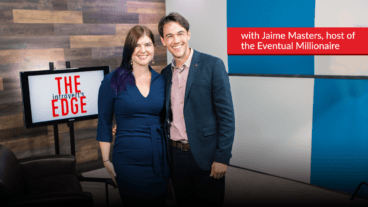 In this episode of the Introvert’s Edge podcast, Jay shares his strategy for generating over fifty new and genuine relationships each year. Welcome to Jay Papasan’s Great Introvert Experiment. Not only is traditional networking uncomfortable for introverts, it can also make us feel a little sleazy to be constantly pushing our products and services on the people we meet there. The whole event can be an introvert’s nightmare. Plus, the way most people do it, they don’t end up even speaking to the people who could actually help their businesses. 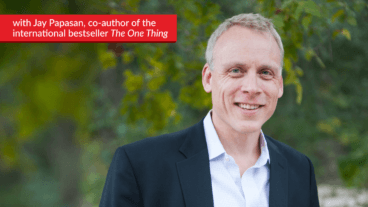 I could go on and on about the common networking mistakes I see every day – I even wrote an article about it called “Networking Does Work – You’re Just Doing It WRONG!” – but today, Jay shares an intriguing idea, which doesn’t involve traditional networking at all. He calls it “the Great Introvert Experiment.” It’s the simple act of setting strategic meetings, not to sell, but to get to know the right people and see how you can both help each other. 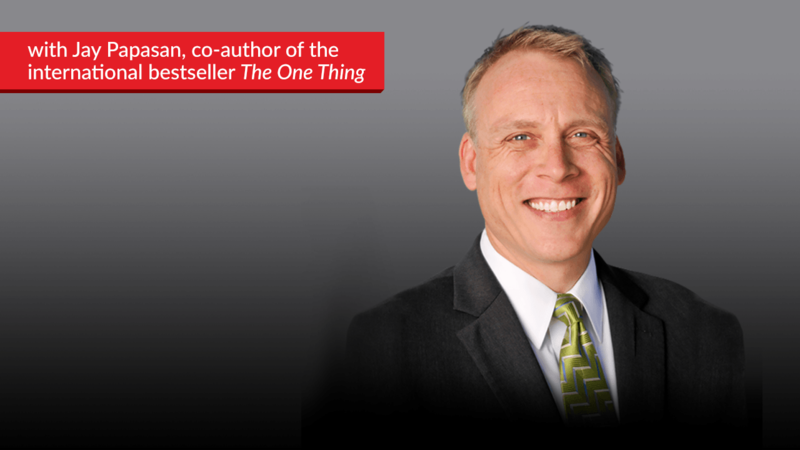 Many business owners think that the point of networking is to sell your products or services – but Jay believes this is a mistake. And while, yes, more sales are ultimately the goal, you can’t expect that simply attending a networking event is going to magically get you customers. You have to start first with relationship building, expanding your network to people who can help you, but whom you can help as well. According to Jay’s experience, laying the groundwork and establishing genuine relationships means that when a person in your network learns of someone looking for the product or service you provide, you’re the first one who comes to their mind. Matt: Hello everyone, and welcome back to another episode of The Introvert’s Edge. And again, I have with me Jay Papasan, one of the co-authors of The One Thing. 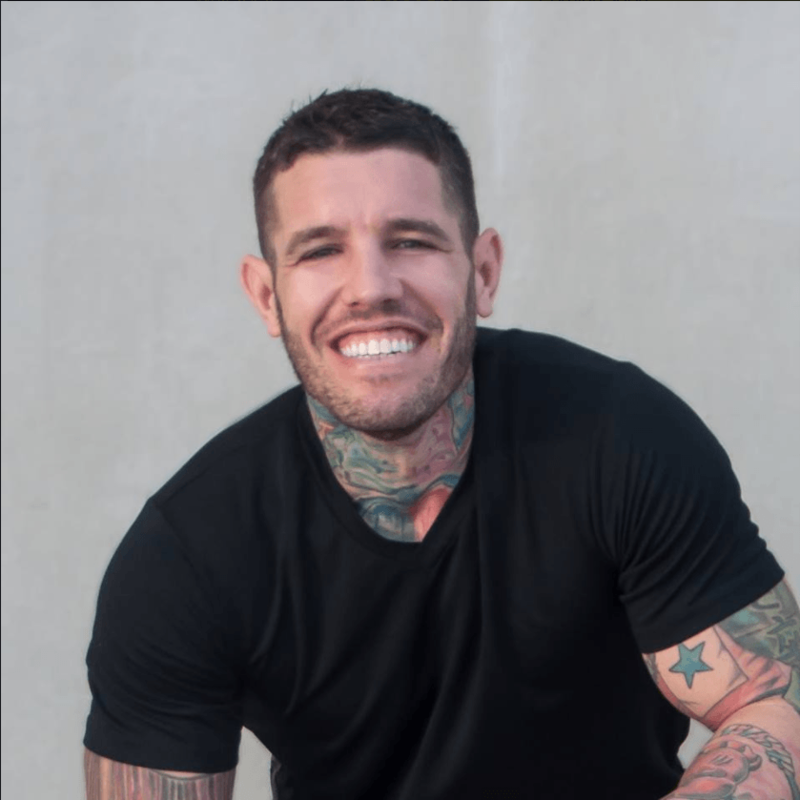 And he’s been giving some amazing value about how to be more of a successful public speaker, even if you don’t want to, and even if you are an introvert. And I have to say that – his – the advice that he gave was similar to the exact advice that I was given. So I can tell you it’s right on the money, and it definitely works for certain introverts. Not for everyone, but for certain introverts. So I think that what I’d really love to transition to now, is – what Jay calls “The Great Introvert Experiment.” Which is his process of networking. And Jay, I’ll let you explain it in a little more detail. I know you were put up to it by your coach, and I think it would be very valuable for introverts to understand the process that you went through. Jay: Sure, I mean we looked up – it was about 2013 when the book came out. And I was talking to my coach. We had our real estate business, our investing business, I was in a private equity group, I had our publishing business. We had about seven businesses that I had a role in. And we wanted to say – what’s an activity I can align with all of them to bring value? And I knew I needed to do more of it. And so we arrived at networking. I needed to build my network, so that when we grew I could find talent, right? I had to go talk to people and ask them. So that was a real challenge for me. Because networking events obviously were the last thing I was going to go to. They’re always at night when I’m already emotionally worn out from dealing with people, right? And so in the very beginning, it was a real struggle for me to reach out to invite people. It was very hard. But I just had to do it once a week. Just one ask a week, right? And I would meet them for coffee at Austin Java at 8:15 am. I had my little rhythm down. And I did 50 that first year, and I immediately threw in the towel. Like I hit my goal, I’m done. Matt: It’s like going to the gym, right? When you’ve got that New Year’s Resolution. “I’m going to get fit, and I’m going to get to this weight.” And then as soon as you get to that weight, you stop. And I made that commitment. And the next year, I’ve got my totals up. I ended up meeting with 98 people. And what happened – I didn’t expect this – is that, when you show up with no agenda, right? You just – like I would always recommend a book or an article I was reading. And I genuinely love getting to know people. And it turned out to be so much easier than I imagined, right, once you got past the first handshake. People would then say, “Hey, you should meet my buddy, Jamie.” Or, “You should meet my buddy, Jason.” And they would make the connection for me. ‘Cause a lot of these people are extroverts, right? They’re going to connect me anyway. And then the next year, I did 117. And I’ve already done 92 so far this year. Jay: So it kinda snowballed. And I started meeting more and more people. And it became kinda fun. My wife and I have date night on Wednesday nights, which is a whole other story. But like one of the first questions she’ll ask me at dinner is like, “So who did you meet this morning?” I’ll be like, “Oh, I met this cool guy from Australia who’s like helping introverts change the world.” And it’ll be that sort of thing. So Part Two of the experiment is – he asked me this year how it was going. I gave him the update. And he said, “Well how are you following up with them?” ‘Cause you’ve invested – at that time, it was like 400 people I’d met. He goes, “How are you following up?” ‘Cause that’s an hour invested in each one, is it just wasted investment? And I know – because we’ve written books on this. I need to follow up. So we instituted a newsletter. Like a monthly newsletter. It’s called, “What I’m Up To.” It’s like 180 words maybe? But it’s like maybe a book I read, and it’s like – I number it 1, 2, 3. I made it so simple, it’s ridiculous. But it’s something obviously I like to write. So I’m comfortable there. So again, I chose something very small, very comfortable – and I can tell you, out of the last ten open positions. Like, in the last year and a half in our team – I’ve had – more than half of them have been filled through that network. So it actually has paid off. Matt: I think that’s great, Jay. ‘Cause I think one of the biggest problems with us as introverts, is we rely on self a lot. But we constantly underestimate the value of having other people in our life. I mean, Judy Robinett is a great friend of mine. She endorsed my book, The Introvert’s Edge. And she wrote the foreword, actually. But she’s highly introverted. And when she speaks to people, she’s always thinking about who that person should know. And she’s known as one of the most connected people in America. She’s got a book on networking. But her value that she gives to people when- and introverts are always focused on giving people value – is, Who can I introduce you to that will aid you in the next step of your life? And I think that as introverts, I mean we’re not – may not catch up with them for coffee and go out partying with them every week – but having great people in our network is so vitally important. So let’s talk about how you did it, though. Because I’m imagining, I’m sitting at home, and I’m watching this video. And I’m like, “Okay, so Jay’s telling me that I need to reach out to people. Do I pick up the phone? Do I email them? I’m not who Jay is. I’m not a bestselling author.” Like what would I do? Who should I reach out to, and how should I reach out to them? Jay: Great question, I love it. It’s funny that – one of the things – I just found this out last week. So one name – her name is Megan Gebhart. She wrote a book called 52 Cups of Coffee. Like a Columbia student, who essentially did the exact same thing. So I can say first off, maybe go check out her book – I just bought it. So it’s not– Obviously it’s not like a unique idea in itself, like other people have latched onto that. I looked at my existing contacts in my database, which is – was Outlook at the time. And I printed them out, and I circled who are all the people that I wished I knew a little bit better. Like these are just cool people I’d bumped into over the years. That maybe I ran into at a party. And I’d done a decent job, I had a few hundred people in there. And I just started there. And I started circling the names that I wanted to reconnect with. And I would reach out to them, say, “I’d love to get together with a coffee.” And then I would sometimes ask – like who else do you know? ‘Cause some of these people I’d only met virtually. I’d never even met them. And so I started with my existing kind of network. Who are the people that I don’t really know, but I have their contact information. And then I – actually, sometimes would ask my assistant. I’d say, “Look, go through all my emails. Like who can I – like we have to keep the rhythm going.” ‘Cause after about – I think 15 or 20 weeks, I was very committed to it. The idea of let’s just keep the rhythm going. And if you reach out via email, I’m not even calling them – and say, “Your friend said that you’re a talent.” Well it’s almost like a magnet, right? People are attracted to that. It’s a flattering thing. It’s coming firsthand. And so I – I don’t know that I’ve gotten any “no’s.” I got to have breakfast with Noah Kagan. He just wouldn’t do it on my terms. He went to his coffee shop on his day, not my coffee shop on my day. But you can reach some people that– And he didn’t know who I was. He hadn’t read my book. So there was none of that. It was just about the label – I think, helps. And coming from very low expectations. I’m not selling anything. Matt: It surprises me how quickly you get to meet some amazing people, by just doing that. I mean when I created this podcast, I was like, “I want to interview some amazing people.” So I started asking my network, “Who should I interview, who should I meet? And I want to speak to them all beforehand.” And I was sending emails to people like yourself – bestselling authors. You and I have known each other through people for a long time, but we’d never physically spoken. And now we’re doing a podcast interview together. So it’s so important that people do that, and start to expand their network. I think – when you said it was awkward to shake hands first – after doing this a number of times, what was the rhythm you created to start the conversation? ‘Cause I can imagine a lot of people would get nervous at the original point where – they’re going to have to go to coffee, and, “What am I going to say to this person?” I mean, it’s kind of like going to a networking event. How would you do it? Or how did you do it? One of the other techniques I’ll tell people, is you make sure that you exchange cell phone numbers. Because in Austin, this Austin Java I talked about – there’s one that’s only about ten blocks away. And I can’t tell you in the very beginning, how many times we were both sitting in Austin Java, but the wrong one. Jay: So you’d end up texting people, and you let people know you’re there. So I do a little bit of research, without being creepy, right? If I’ve read their book or I’m aware of their business, I just learn a little bit. And then I never try to pretend like I’m an expert in anything. I won’t even do that in my speeches. I’ll talk to – I’m giving a speech in New York next week. And it’s all this – they make socks and underwear and stuff. And I don’t know textiles, and I’m not going to pretend. People can smell a phony. So I just say, “Look, I know nothing about socks, tell me about it. What’s interesting about what you do?” And I think it’s a lot more important. I know that somebody had to have said this, ’cause I always repeat it. But it’s better – your better strategy is to be interested, than try to be interesting. And if you just ask questions, everything goes well. Matt: That’s really great advice. We had Ivan Misner talking about networking, and he suggested the same thing. Don’t go into a networking event expecting that you need to say something interesting. Just ask people what they do, and people love to talk about themselves, and it bridges the gap. I’m just – I’m hearing a little thought inside my mind that people may be thinking that when you reach out to– It’s like the insurance salesperson. I’m calling you because I want to sell you something. How do you present that you’re not there with an agenda? Because I can imagine that people would worry about that. So is there a way you sort of mention that in your email, or you kinda say at the start of meeting somebody, that you don’t have an agenda? How do you go about doing that? Or do you just leave it, and it becomes natural? Matt: I think that’s important for people to know because, when you’re going in and having that – that conversation. What I’m getting from you is it’s really just about having that genuine conversation of meeting somebody and getting to know them. And I think that that’s how people should go in and do that. So for everybody that’s watching today, maybe make yourself a commitment. I mean, hearing these great things on podcasts – and Jay’s given a huge amount of value today. If you want to be a speaker, block out some time to plan what you’re going to talk about – or block out some time to get a free speaking event, and then plan what you’re going to say. If you want to start expanding your network, well then apply this strategy. Block out a 30-minute, or a 45-minute coffee every week. And then, if you don’t have somebody booked in – go and spend that time, just like Jay did – finding somebody in that 45 minutes. Ask somebody for referrals. Take action on this advice. And I think that’s a really important thing that everybody should do within this. It’s great to say, “Oh that works for Jay, but I’m not sure it’ll work for me.” Well try. Don’t say it won’t, just try it – and I bet you it will. I mean, I think – Jay, you’ve done an amazing job of being really honest on this show and sharing that for you it wasn’t comfortable, it just became comfortable. Jay: Yeah, and it’s funny. The first – like I said – 15 or 20 were really stressful. Like I would lay in bed thinking about the first thing I was going to do the next day was meet a stranger. Sometimes psych myself out. But what I learned, is – maybe it was just the halo we put around it. After you’ve done nine or ten, very few people do anything nine or ten times. So just by virtue of having coffee with ten other strangers, they’ve been invited to be a part of a thing. And now they feel like they’re a part of a thing. And they’re like, “That’s weird, that is so weird.” And I’m like, “Yeah, but it’s fun. And we got to meet each other as a result.” So I would tell people – if they’re willing to do it – not just once. Even the third or fourth time – it’ll get so much easier, it’ll surprise them. It’ll get its own momentum. Matt: Really spot-on advice. And I think anything – whether you’re going to the gym, or anything that’s uncomfortable at the start – becomes easier after doing it in repetition. And I think it’s kinda cool though. The idea of – saying it’s part of this thing. I mean, four years later it’s cool. But when somebody’s just starting, they don’t want to say no to you if you’re just starting this thing. They don’t want to be the person that kills the dream either. So I – I feel that – just following that exact advice will get everybody that’s watching some really amazing results. So I want to transition now – ’cause we’ve talked a lot of the uncomfortability around speaking and networking, and overcoming that. But Jay, you’ve achieved some amazing things, and nobody gets to where they are now without having some advantages too. So I’d love to ask what you consider your introvert’s edge? Jay: There’s so much. Like the obvious things are – if you’re not an extrovert, you listen more. So I think that – maybe because I focused on my mistakes, and I – I learned from them. Because I’m in the room, and I’m nervous about the conversation – I’m really engaged in the conversation. So I think that part of being an introvert for me is I – I pay attention to more of the details. I think I’m naturally analytical too. And clearly a strategy, I feel comfortable when I have a plan. That might be more about me than being an introvert. But I think the number one thing is it allows me – because I don’t have to be heard in every meeting. I can go and sit for an hour with someone – and unlike an interview, I’m mostly just asking questions. I don’t have – I can just listen and soak it in. I know people who are extroverts that – they couldn’t do that. So I think one of the big advantages is if you were born an introvert, you do listen a little bit more. You have an opportunity to learn a lot from other people. Because people – if you ask them questions – it’s funny what they’ll say, and how much they’ll give you. Then if you just listen, and apply it – it’s amazing. So I don’t know, maybe you know if the analytical gene lives in introverts? But I like to plan. I like to have a plan. And I think that has been super advantageous for me. We even wrote about it in our book. People are entrepreneurial, meaning they’re using their natural strengths to do things. That almost always doesn’t win in the long race, if you’re willing to be purposeful about how you do things. 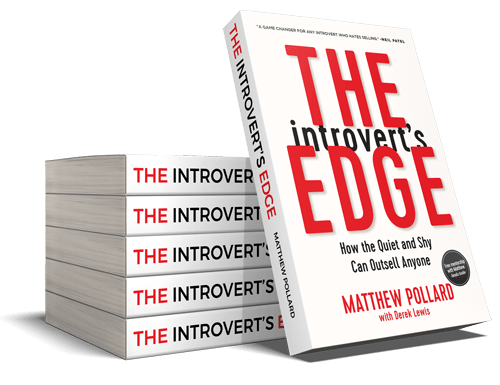 Matt: We were talking about the book Quiet, and Susan Cain’s work, and she does – she talks about the fact that having that analytical skill set is actually a strong introvert ability. But also the ability to be able to actively listen to what people are saying, and be genuinely interested – as opposed to agenda-interested, and looking for something to say next. It’s like – I don’t like the way that feels when I’m talking to someone, I know they’re gone. And I don’t want to be that person either. So maybe my sensitivity to social issues has made me a kinder, more respectful person. Because I never want to be that person to other people, it makes – it can make the interaction more sincere and warmer maybe. I’m just thinking about a really close friend that I have, Paul – who – every time I’ve seen him talk to someone, I’m wowed. Because any time you ask a question, you can see him truly listen to the answer and get excited about that person’s story. And you feel like there’s nothing else in this person’s world, except for the person that he’s talking to. And he does it with everybody. And it’s a skill set that I think introverts all have. A lot of times, we just get caught up in thinking about the fact that we should be thinking of what to say. ‘Cause that’s what extroverts do. If we have a pause where we consider, and we’re analytical about what the next thing to say is – then that’s going to feel weird. And I think as soon as we get past that, we become super communicators. So I think that’s hugely valuable, Jay. I’m really happy – ecstatic about all of the different advice that you’ve given so many introverts out there, and really sharing it, some of your barriers, really honestly. Before we finish up today, is there any – is there anything else that you would like to tell the introverts that are listening on, and watching along today? And I laughed at him. And sure enough, we’re playing soccer out on the park by the highway in New York City. And there was a cute girl over there. And he said, “Jay, go do what I said.” And I was like, “No.” And he’s like, “Go do it, she’s been watching you.” And I’m like, “Okay.” I walked over there, and I did exactly that. And I didn’t have to say another word for the next hour. And I remember that moment of – I think the advice I would give to – especially if we’re naturally analytic and we’re naturally nervous – is that we don’t also need to overthink all these situations. It’s often so much simpler than we imagine. And just starting, that first step. “Hello, my name is Jay.” Whatever that is. Me walking on stage, “Hi, my name’s Jay.” I mean that first little bit. That first step – almost everything else kind of falls to the side. And if you’ll just be you. And you’ve said this a million times, Matthew. “Just be your authentic self.” You’d be amazed at what can happen. I think we have – we just build it up way too much on the inside. Matt: That’s fantastic advice. Jay, where can people find out more about you? How can people become part of your special update blog? How do we find – how do we become part of your world? Jay: I think the best way to connect, just go to the1thing.com, with a number 1. My social profiles are up there. I actually get a lot of questions on LinkedIn and Facebook from people who’ve read the book. And I do block time every week to – it’s not a bot, and it’s not an assistant. I personally get into those and try to connect with people. Like social media is perfect for introverts, right? We get to communicate with people from the comfort of our laptop and a couch at home. So that’s totally comfortable for me. And I do get – I always tell people – being an introvert doesn’t mean you don’t love people. You just don’t need them all the time, right? And so I get to meet them on my terms, and enjoy them. So I just say, “Go to the website, check out the stuff” – and you can definitely find me with my weird last name on social media really easily, and I promise I’ll respond. Matt: That’s fantastic. Well Jay, you’ve been incredibly generous to the listeners and watchers today. So thank you so much for joining us. And for everyone that is watching at home. If you’ve enjoyed today’s information, please go to theintrovertsedge.com, and check out the website, subscribe to the podcast. Post a review, so that more and more introverts get the opportunity to access this great information – and Jay’s content, that really helped you today. But thank you again for joining us. And I look forward to seeing you in the next episode. Cheers.